You’ve seen it on billboards, in commercials, and even watched the biggest stars enjoy it in TV shows and movies. What was once an idea in the mind of Dr. John S. Pemberton in 1886 is now an experience that people from all around the world can share — drinking a cold, refreshing Coca-Cola. Do you know how Coca-Cola became such an influential brand? Find out by visiting the World of Coca-Cola museum in Atlanta! You can meet the polar bear, learn about the secret recipe, and see everything from antique vending machines to authentic Olympic torches! The museum is near plenty of other fun attractions, too. Get our free Travel Guide to see them all and plan the perfect day in the city! 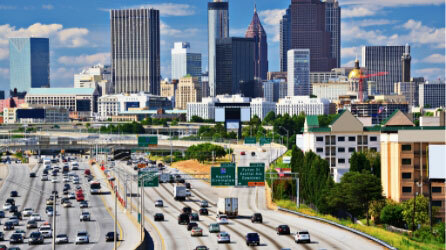 See the Best of Atlanta! Tickets to Atlanta’s World of Coca-Cola museum are only $17 for adults and allow you to explore several different rooms of displays, artifacts, and unique experiences. Before journeying too far, make sure you capture a picture with the lovable and iconic Coca-Cola polar bear! This seven-foot-tall mascot will greet you in the museum, making for an excellent photo opportunity. Coca-Cola has grown from being a simple beverage to representing something much more. It’s an experience! When you see people drinking this soda in the media, they’re always cheerful and spending time with family or friends, on an exciting adventure, or simply enjoying a relaxing day in the sun. The company’s powerful marketing campaigns helped them achieve this image, and you’re welcome to see how they did it. You’ll find the Coca-Cola logo on posters, artwork, music records, and more. You can even hold a real torch from the Olympics that they sponsored! While the exact recipe is strictly off-limits, you do get a chance to explore “the Vault” room where you can learn about its history. John S. Pemberton, unfortunately, passed away two years after inventing the recipe, and Coca-Cola had to make sure it was safe from prying eyes. Plenty of fake recipes have surfaced over time, but none of them come close to the real thing. Near the end of the tour, you get to see the actual vault up close. Yes, the secret recipe is really inside! You may have heard of some of Coca-Cola’s other beverages, like Sprite, Fanta, and Dasani. But, did you know the list reaches almost 4,000 drinks from around the globe? Head upstairs to the tasting room and try over 100 of them! You may not like all of the flavors, but you’re sure to have fun. Who knows, you might leave with a new favorite drink! Make the Most of Your Visit: Stay at Stonehurst Place! While you’re in the city, don’t miss out on some more of our favorite attractions nearby! You can visit the aquarium in Atlanta, the Center for Civil and Human Rights, the College Football Hall of Fame, and even stroll through Centennial Olympic Park. They are all a short walk from the Atlanta Coca-Cola museum, and minutes away from Stonehurst Place! Instead of trying to see them all in one day, stay at our elegant boutique inn for the weekend. As our guest, you get to enjoy complimentary refreshments and gourmet breakfasts in addition to our luxurious accommodations. We designed each of our rooms and suites to have their own unique character with original artwork and beautiful furnishings. 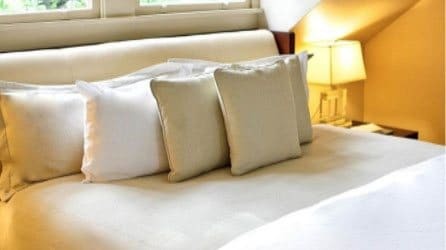 All you need to do is book your favorite and enjoy the best lodging that Midtown Atlanta has to offer!